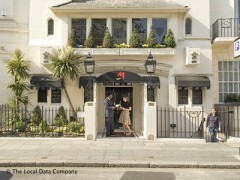 About: Mosimann's is a private members club opened in 1988, decorated with lavish and elegant furniture and offering fine food and wine in luxurious surroundings. Members are able to use the club for both lunch and dinner. Six private rooms are available to hire and are ideal for all types of celebrations. The club caters for British and foreign Royalty, celebrities and lovers of fine food from all over the world. Yesterday I was taken to lunch at this famous restaurant. At the age of 63, this was simply the best total lunch experience of my life. Relaxing, kind, exciting, pleasurable, with wonderful wonderful food.